The first horse from Kempton on Thursday comes in the 32Red Casino Introductory Juvenile Hurdle over 2 miles and we have selected the Alan King trained Nebuchadnezzar to win. This three year old has only had one start to date over hurdles and on his debut he shaped like he had a lot of potential finishing second behind a horse that has since gone on to win again at Cheltenham in a Triumph Hurdle trial race. This form looks to be strong and he has every chance of taking the first race of the day. 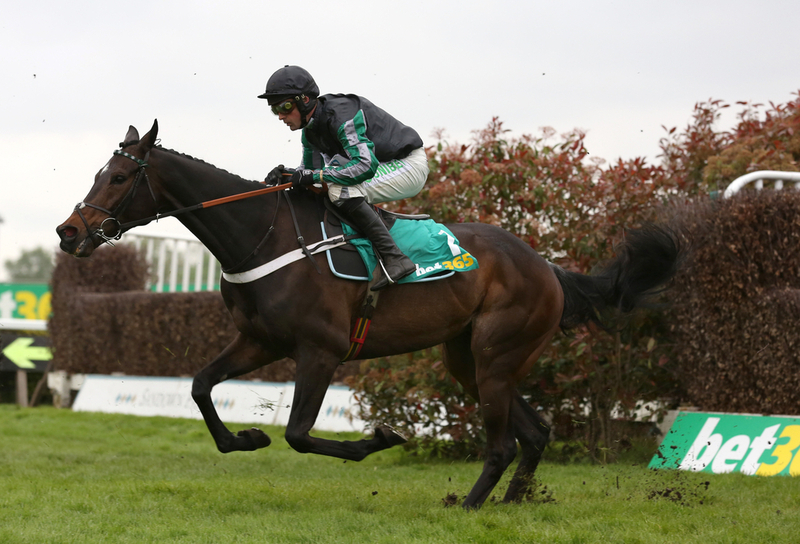 The next horse from Kempton comes in one of the bigger races on the card in the 32Red.com Wayward Lad Novices Chase and we have gone with the leading Arkle Trophy favourite at this seasons Cheltenham Festival Kalashnikov. This Grade 2 contest features a lot of horses that will go to the festival in that race but this Amy Murphy trained five year old looks to be the one to beat from what he has done this season. He has only been over fences twice in his career but has shaped really nicely and has made the transition from going over hurdles to fences very well. This will be his biggest task to date but from the emphatic victories so far he will certainly take some stopping with all conditions to suit. The third horse on the card that we fancy today comes in the 32Red Casino Mares Handicap Hurdle over 3 miles 1/2 furlong and we have gone with the Henry Daly trained Chilli Filli. This mare looks to be a bright youngster for the yard and at only five years old has got a number of wins to her name. Her latest came on her seasonal reappearance at Ludlow in a Class 3 handicap where she won eased down. Having not be seen since October and recently pulled out of races at Cheltenham it look like the plan from connections was to be fresh fro this race and she has a great chance. The fourth race of the day is again another highlight on the card in the Unibet Desert Orchid Chase and looking at this race we would suggest NO BET and this due to Altior running. Altoir is 1/6 to take this contest and although the multiple Grade 1 winning superstar is in a Grade 2 and should romp home, the price he is at is very hard to back. There is no denying this Nicky Henderson trained horse is one of the greats in the sport and we are tipping him to win but at his price he is more of a selection to put with another horse or in an accumulator but he is expected to win. The fifth selection of the day comes in the Class 2 32Red.com handicap chase over 3 miles and we have gone with the Nicky Henderson trained Kilcrea Vale. This eight year old always seems to be in the frame in his races but without ever having that final finishing spark to go on and win it but we think today is his day. On his last two starts he has ran credibly in good races at Aintree over the big fences finishing third and fourth and on Thursday back over smaller fences might just be able to finish with more in the tank. The final race of the day is the 32Red Download The App Handicap Hurdle over 2 miles and to finish the card off we have chosen Mystic Sky for Lucy Wadham to win this contest. The seven year has been very consistent of late and even though she may be more exposed than some of the others she really does know how to win a race. Her last three runs have seen her come second twice and first once and even though they are in small fields they have been close races and it would be no surprise to see her up there again.